Every December, the world is gripped in a pandemic of Clausaphobia – the irrational fear of Santa Claus. Although this is a mental disorder, there is considerable evidence that it’s contagious. First of all, it has a distinct season, roughly from American Thanksgiving until December 26th — when it suddenly disappears as if it was never there in the first place. Secondly, people who get the condition are quite noticeably afflicted; they simply can’t shut up on the subject. Finally, as fate would have it, it seems to be spread by word of mouth. Over the years, there’s been a lot of claptrap written in defence of Clausaphobia — as though those who suffer from its debilitating effects are, in fact, quite normal. These fables have been repeated, at concert pitch, for so long that many otherwise sane people are now in danger of contracting this condition. However, a small group of learned men and women are fighting back. Equipped with science and reason they are desperately holding this disease at bay. In the interests of helping control a worldwide scourge, here is a brief synopsis of their findings. First, the fables. In almost every Christmas book ever written, the story of Santa Claus starts out in some godforsaken town in Turkey. Apparently, there was a guy there named Nicholas. He was a priest or something, and he was so generous the Church made him a saint. Fine! There are a few scraps of evidence that some of this might be true. For example, this Nicholas could very well have been a real 4th century bishop named Nikolaos of Myra. However, historians have never agreed on that or any other where, when or why of this little fairy tale. 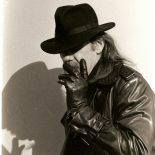 In fact, there is no definitive evidence whatsoever that this (or any other) Nicholas has any historical connection to Santa Claus. However, this hasn’t deterred the myth makers. Invariably they go on to relate a number of tales about their various Nicholases (Nicholi?) to demonstrate a vague link to the common practices of our modern day Santa Claus. Unfortunately, they are all different stories concerning shoes, stockings, children, lumps of coal and what-have-you (no two alike) and none of them is backed up with factual findings. In place of hard evidence, anthropologists and social historians theorize that Santa Claus grew out of these improbable Nicholas legends. They maintain that quaint local folk traditions somehow not only survived the Dark Ages but actually thrived, spreading throughout Europe. Again, without a lick of corroborating evidence! What a crock! This has led to modern confusion and frustration — the root cause of Clausaphobia. Let’s set the record straight. Here’s the real story of Santa Claus, based on historical fact. Santa Claus has been around forever. He’s known by a number of different names — Sinterklaas in Holland, Father Christmas in Britain, Pere Noel in France etc. etc. — but it’s all the same guy. He lives at the North Pole with Mrs. Claus (who, oddly enough, doesn’t have a first name) a ton of elves and the reindeer. All year long, the elves make toys in a gigantic workshop. 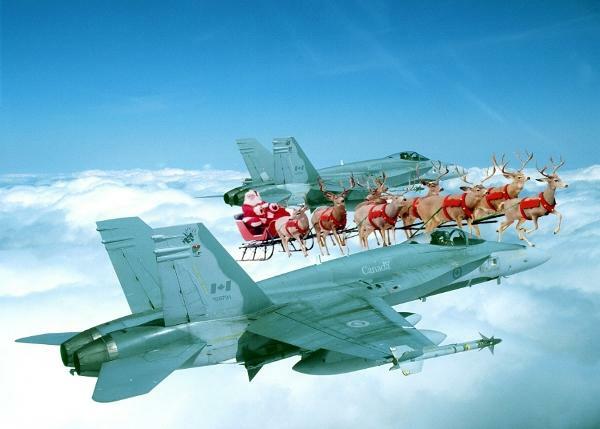 Then, once a year, Santa loads up his magic sleigh, hitches up the reindeer (who can fly, by the way) and goes around the world, delivering toys to good girls and boys. How do I know this? Documented proof! Santa Claus has actually been seen – at least three times — once by Clement Moore in 1823, then again by Thomas Nast in the early 1860s and finally by Haddon Sundblom sometime in the late 1920s. There are also a few secret contemporary photographs which haven’t been authenticated. However let’s just stick to the facts. In 1823, Clement Moore, a professor at Columbia College, woke up on Christmas Eve and witnessed Santa Claus delivering toys to his house. He wrote a poem about his experience, called ‘Twas the Night before Christmas which was published in the Sentinel newspaper in Troy, New York. In that poem, Moore describes Santa quite accurately. He also describes the reindeer (miraculously remembering Santa’s names for them) and their ability to fly. There is some controversy over Moore’s account, however, because he describes the scene as “a miniature sleigh, and eight tiny reindeer” and goes on to call Santa himself “a right jolly old elf.” Since we know (from corroborating evidence) that Santa Claus is actually quite a large gentleman, we can only conclude that Clement either didn’t have his glasses on or suffered from an undiagnosed eye ailment. Santa Claus was next seen by Thomas Nast, sometime in the 1860s. Nast was a cartoonist and social commentator who gave us, among other things, Uncle Sam, the symbols of both the Republican and Democratic political parties and the term “nasty.” Obviously, a witness to history like Nast would not let his encounter with Santa Claus go unrecorded. 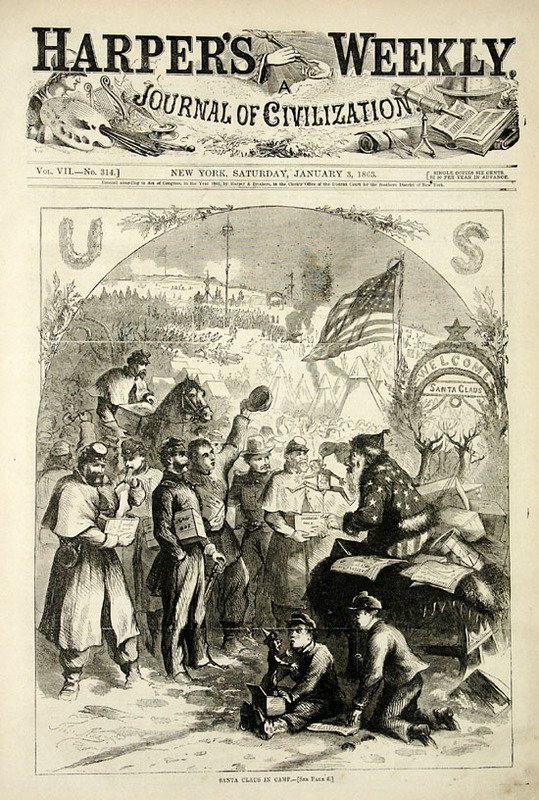 In the January 3rd, 1863 issue of Harper’s Weekly, Nast drew an illustration of Santa Claus meeting Union troops and passing out gifts during the Civil War. We know this portrayal to be accurate because Santa Claus appears exactly as Clement Moore described him! Clearly, these two depictions are of the same person. Nast seems to have developed a long-term relationship with Santa Claus, because, twenty years later, he drew him again in what looks like a seated portrait. The next documented sighting of Santa Claus occurred sometime in the late 1920s. Haddan Sundblom, an advertising artist, must have met Santa on several occasions or even convinced him to once again pose for a portrait. 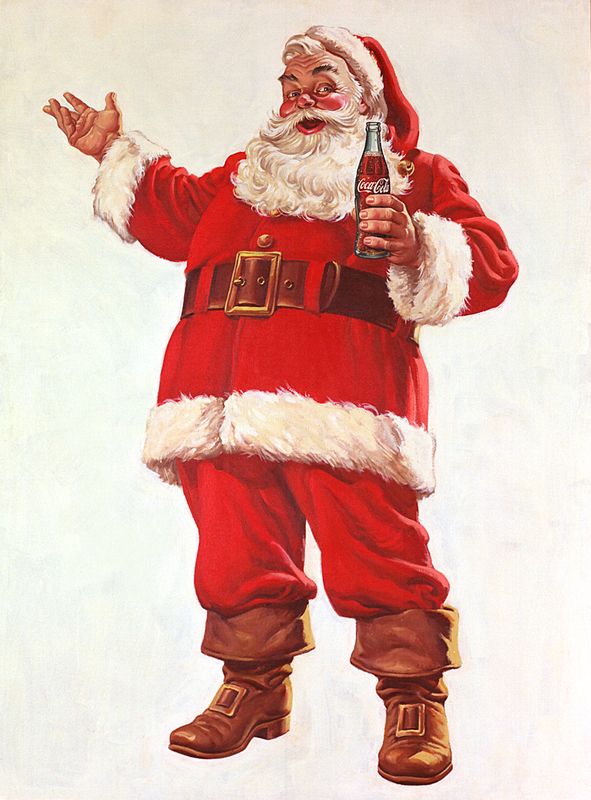 In 1931, Sundblom painted a picture of Santa as an advertisement for the Coca Cola™ Company. It appeared in the Saturday Evening Post. Sundblom’s image was universally recognized as Santa Claus; there were no complaints, nor any suggestions of inaccuracy. Not one single person in the entire world even hinted that this might not be Santa Claus. In fact, Sundblom’s portrait was so accurate that over the last 80 years, it has been plagiarized unmercifully. These are just three examples that document the truth about Santa Claus. There are more. That was absolutely great. For all of us, that just confirms our belief in the Jolly Old Elf. The spirit of the season and Santa Claus will live on forever. Merry Christmas WD. This entry was posted on December 9, 2011 by wdfyfe in Social Media and tagged Christmas, clausaphobia, Santa, Santa Claus, social comment.